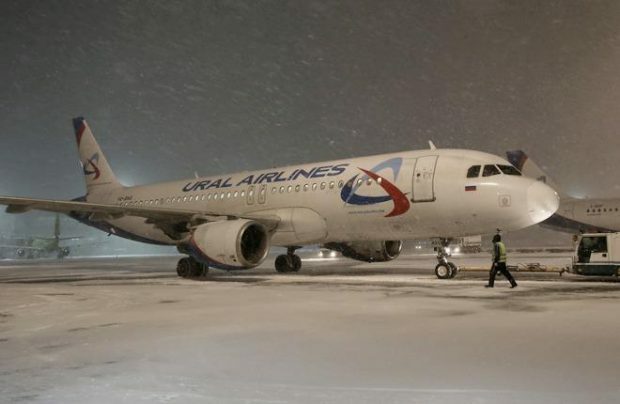 Switzerland-based SR Technics is extending its maintenance partnership with Ural Airlines, Russia’s fourth-largest carrier, for another six years, covering the carrier’s CFM56-5B engines. The new contract was formally signed in December 2017; servicing of the Yekaterinburg-based airline’s engines is set to begin in Q2 2018. All work will be carried out at the SR Technics facilities in Zurich. The proven performance levels of SR Technics’ services under the previous arrangement, which was signed in 2014, was a key factor in winning the new deal, along with the MRO provider’s competitive offer to support the airline’s maintenance requirements. “SR Technics’ expertise, quality services, and its efficient approach to our CFM56-5B fleet is much appreciated and we are pleased to expand our engine service business further,” says Andrey Melnikov, head of budget planning and material support at Ural Airlines. The operator’s all-Airbus fleet currently consists of 23 A320s, 13 A321s, and seven A319s, most of them powered by CFM International engines. Seven more Airbus narrowbodies are due to be added during 2018. In another maintenance contract, SR Technics and Ukraine International Airlines (UIA) reached an agreement last year for the Swiss provider to supply the carrier with Boeing B737NG components. SR Technics has more than 50 years of engine services experience. Its track record extends to more than 4,300 shop visits.